From France to Las Vegas, Blackjack is a well-traveled, popular casino game. Inspiring many movies over the year including 21 which stared the legendary Kevin Spacey. However, despite its fame Blackjack remains shrouded in myths. Here are the most popular Blackjack myths debunked. 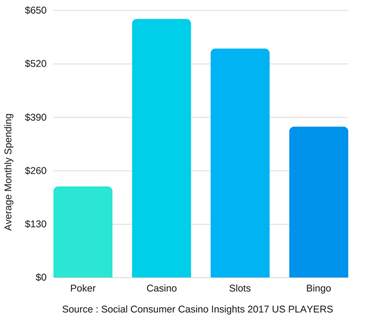 Although poker has more celebrity players and a world series tournament WSOP, it is not the most popular land casino game. In Las Vegas Blackjack tables account for over 50% of a casino’s floor. This means more players, dealers and revenue for the casinos. in the online world however, it is video slots that are most played casino game. The reason for this lies with the growth of smartphone technology. Amazing graphics, features and exciting range of slot games available are simply more attractive to the new generation of smartphone users. While casinos would love you to believe card counting is illegal, this a MYTH. Although heavily frowned upon, card counting is essentially just mental arithmetic. Who could arrest you for just using your brain? Hollywood movies haven’t helped, as we often see card counters in popular casino movies meet violent ends. Chances of this happening are pretty small. If you are thinking of breaking out your card counting skills here’s what you should know: Many Las Vegas casinos will bar you from their premises if they catch you, same with UK casinos. We can forgive people for believing this one after all the other name for Blackjack is 21. This myth however, can be a costly one. The true aim of Blackjack is to achieve a higher score than the dealer without going over 21. Players that get 21 on their first two cards are paid 3:2. What players often forget is basic strategic strategy. Example if players were to get a score of “16” they could still beat the game. Focussing on 21 means players will often go bust and get over 21 and lose more often. Tip: By following simple strategy, players can watch for when they think the dealer will hit or go bust so they can stand. The game Blackjack first entered the world as “Vingt-et-un” French for 21. Today while the name 21 is still used in many parts of the world, Blackjack is the far more popular title. The origins of the name Blackjack come from when the card game first gained status in America. During that time casinos would offer tempting 10-1 pay out if the player’s hand contained the ace of spades and a “black” Jack i.e. Jack of clubs or Jack of spades. Even though that bonus was dropped not long after, the name Blackjack clearly stuck. The benefits of being a part of the Hall of Fame include free rooms, food and drink for life. The catch? They agree to never play at the resorts Blackjack tables.